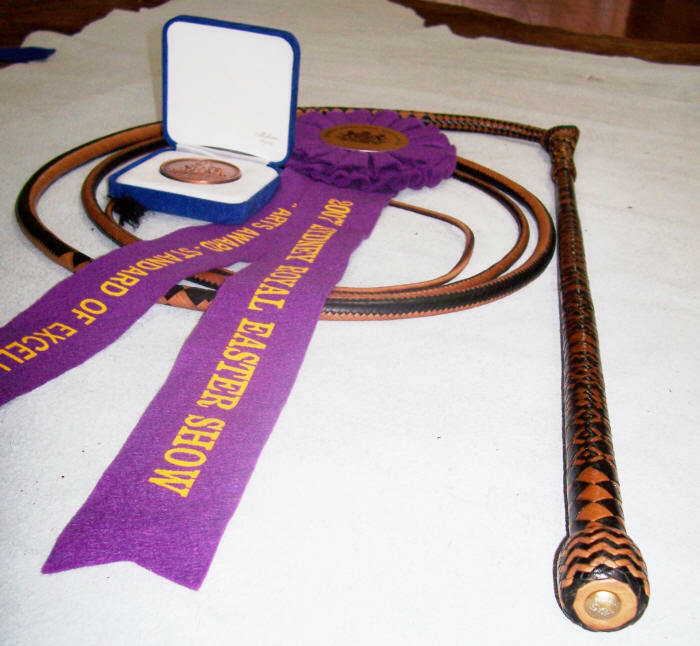 I have been privileged to win a number of whipmaking awards including Sydney Royal Easter Show Standards of Excellence Award for the above whip. Since 2004 I've had a stall at AGFEST (Tasmania's largest field day) and I've won "Best craft exhibitor" in 2004, and again in 2009 and "Best use of Central Arena" in 2017. I'm am mostly passionate about getting children involved in whipcracking however I do compete to support our Australian culture and make up numbers. 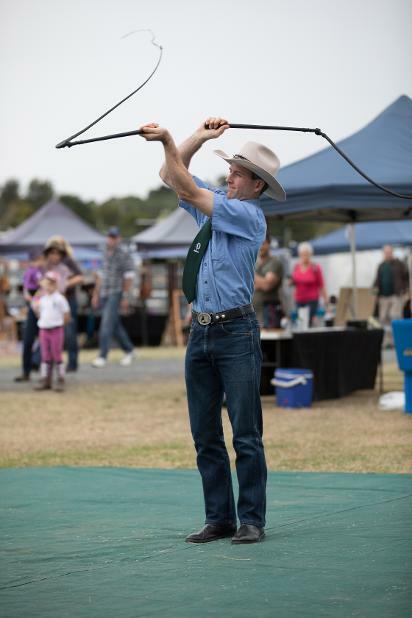 Usually I only win a state title event when the best whipcrackers in Australia don't turn up to a competition :o) I don't compete in Tasmanian AWPA events as I help run and organize sponsors for the kids in my own area. I was the Australian Accuracy Whipcracking Champion for 2007 & 2010 and came 2nd in the Men's Australian Whipcracking Championships for 2007 & 2010, 3rd in 2008 & 2009, 2011, 2012, 4th place in 2006. I won the 2010 South Australian & Victorian Whipcracking Championship in the Men's divison. See www.australianwhipcracking.org for more info on Australian Whipcracking. Beside is a picture of me competing at the 2017 QLD Championships.